Last season, the Fordham Rams took a small step in the right direction. Coming off a miserable 2009-2010 season going 2-26 overall and winless in the Atlantic 10, the Rams improved last year winning seven games. This season, don’t look for Fordham to make significant strides but look for some surprise victories throughout the season. The one bright spot for this program this year will be Junior forward Chris Gaston (a St. Anthony’s alum). Last year, Gaston was ranked fourth in the country in rebounding average 11.4 boards per game. Since the three players ranked ahead of him have either graduated or have been drafted (Moorehead State standout Kenneth Faried in particular), Gaston comes into the 2011-2012 season as the best rebounder in the country. Nonetheless, Fordham will have one of the youngest teams in the Atlantic 10 with half of the roster consisting of freshman. Look for the Rams to finish well under .500 this year, but have a couple of bright moments through the season. Who knows? Maybe Chris Gaston could be the first Ram in the NBA since Smush Parker. 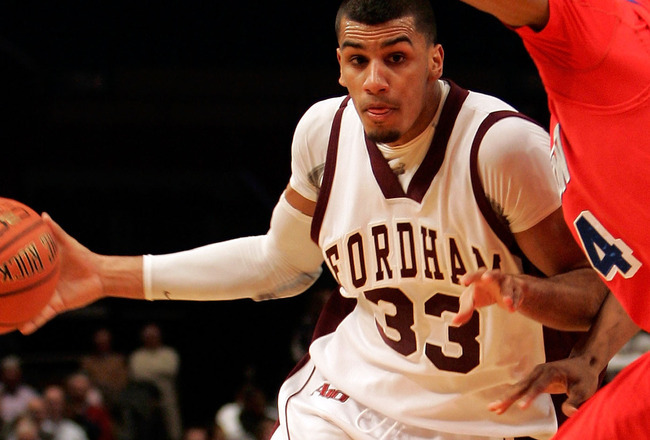 So if you any of you haven’t heard, Fordham has struggled mightily for the past three years. With only four victories the past two seasons, the Rams have found themselves in the far bottom of the Atlantic 10. This year, the Rams have struggled, but are a much improved team. In the beginning of the season, the Rams put together some impressive wins against Lehigh and St. John’s. But since the Atlantic 10 season started, the Rams have been looking for their first conference win. Last night, Fordham took on the #24 Temple Owls. It would’ve been easy for Rams to roll over against one of the top teams in the country. In the first half, Temple ran off to a big lead and led by 18 at half. But the Rams surged at the start of the second half led by sophomore Chris Gaston (who ended the night with 27 points). The Rams came all the way back and cut the lead to three with 13 minutes to go. Fordham would fight hard the rest of the game, but the better team would prevail. Final score: Temple 77, Fordham 66. Even though Fordham is arguably one of the worst teams in the country, we can all learn from their hard work. This team never gives up, no matter what the score. 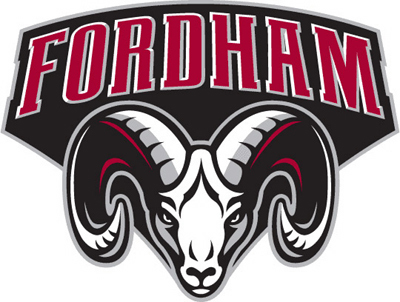 In the Rams’ victory against St. John’s last December, Fordham was down by 22 with eight minutes to go. FU would end up coming back to defeat the Red Storm by three. So Fordham might not even win a game the rest of the season, but always know that the men of Rose Hill will continue to work hard for Fordham nation. Go Rams.